Ape humans who died on an Indonesian island about 15,000 years ago were not Homo sapiens but different species, according to a recent study that sparked a fierce anthropological debate. Homo floresiensis fossils, nicknamed "hobbits" because of their small stature, were found on the island of Flores in 2003. Whether they are branches not known to early humans or modern human specimens deformed by the disease is still a debate. Studies based on an analysis of skull bones, showing all that dwarf humans do not include Homo sapiens, according to the researchers. To date, academic studies have shown in one direction or another and the scientific discourse is sometimes reversed into failure. One school of thought holds that the so-called Flores Man descendants of Homo Erectus are larger and become smaller for hundreds of generations. The process proposed for this is called "dwarfing". After migration across during low sea-level periods, animals are stranded on the islands as the oceans rise and their size decreases as food supplies decline. An adult hobbit stands one meter and weighs about 25 kilograms. Similarly, Flores Island is also home to another extinct race, like an ancient elephant called Stegodon. But other researchers argue that Homo floresiensis is actually a small modern human and small brain, no larger than grapes, caused by genetic disorders. One of the suspects is a dwarf cretinism, sometimes caused by a lack of iodine. Another potential culprit is microcephaly, which shrinks not just the brain but its bone wrapper. Based on the Journal of Human Evolution, a pair of scientists in France use high-tech tools to re-examine the layers of the skull's "hobbit". More precisely, they see the remains of Liang Bua 1 (dubbed LB1), the shell is the most intact of the nine known specimens. The Homo Floresiensis skeleton, a bipedal, ape that has been reconstructed. It is estimated to be 38,000 to 18,000 years old. "So far, we have based our conclusions on images where you do not really see very much," said lead author Antoine Balzeau, a scientist at the French Natural History Museum. Joining Philippe Charlier, a palaeopathologist at Paris-Descartes University specializing in solving ancient medical mysteries, the researchers were helped by the recently produced high resolution images in Japan to calculate maps of bone thickness variation. "There is a lot of information contained in the lining of the skull," says Mr Balzeau. The result, he said, is clear: "There is no characteristic of our species" - that is, Homo sapiens. And while they found evidence of mild disease, none were consistent with the major genetic disease that other researchers had shown. But if one part of the mystery can be solved, the other remains a mystery. 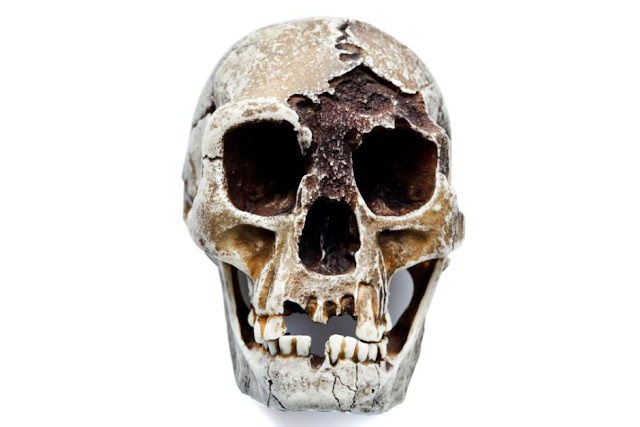 For a while scientists can not exclude the possibility that the "hobbit" is a small version of Homo Erectus, which arrived on the neighboring island of Java several million years ago, nor are they convinced that it is not a species that is a private right. "For the moment, we can not say one way or the other," said Mr. Balzeau.